Look who decided to show up 3 weeks early - a new grand-boy*! Mom was having some complications, so her doctor decided to induce her last Friday. 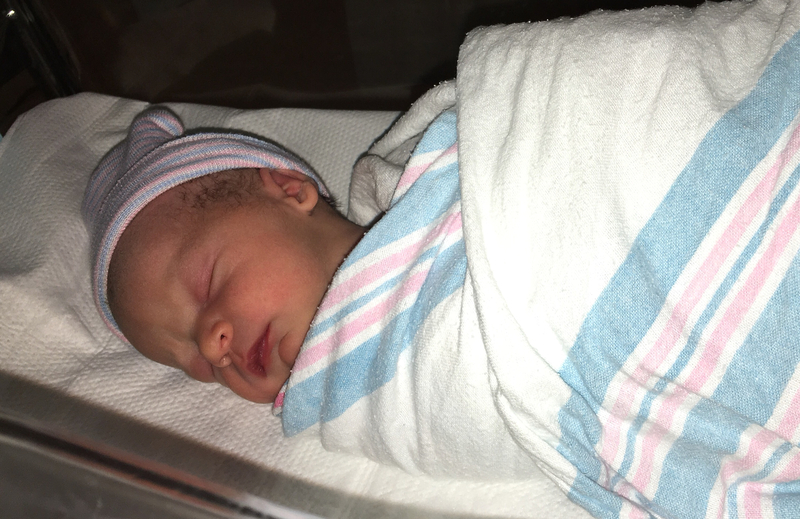 Master Isaac was born at 7:15 pm on October 14, weighing a very respectable 6 lbs, 5 oz. Mom, dad and big brother, Travis, are all doing great. 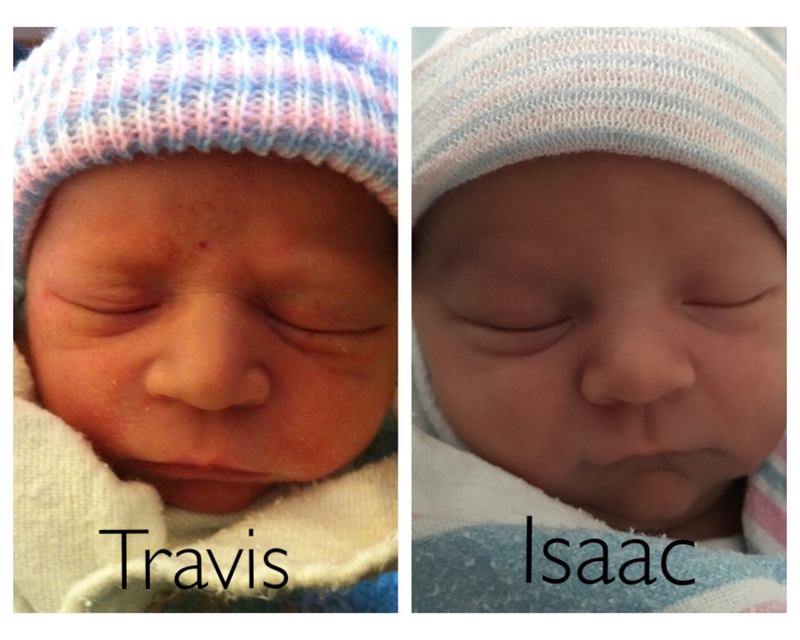 And speaking of Travis, check out his newborn pic compared to Issac. They could almost be twins! Can't wait for my chance to snuggle the new arrival! * Technically, Isaac and Travis are our grand-nephews but we're claiming them as grandsons. They go very nicely with our four grand-girls. Better Late Than . . . .